Quarter press featuring designs from Disneyland’s Haunted Mansion. Designs change at Halloween time to reflect the Nightmare Before Christmas seasonal overlay. 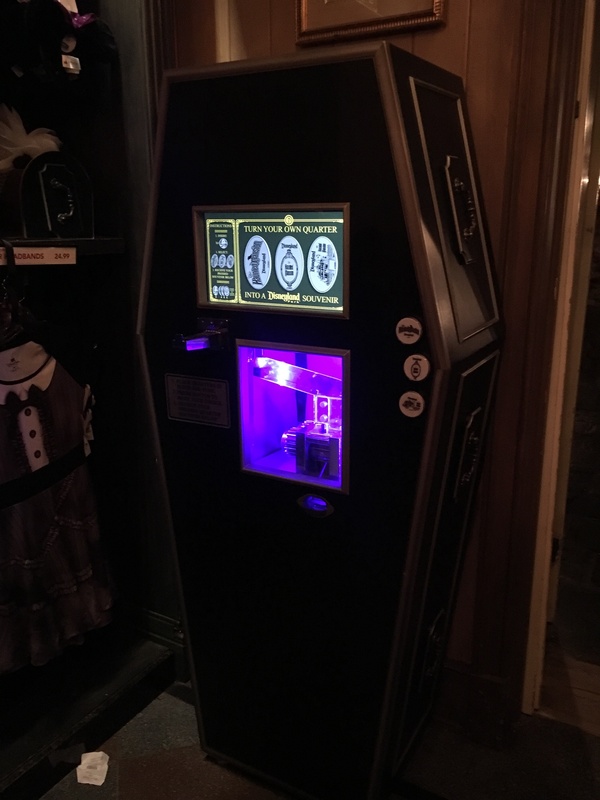 Machine was installed in 2017, is coffin shaped, and plays music. Monika added Haunted Mansion to system.